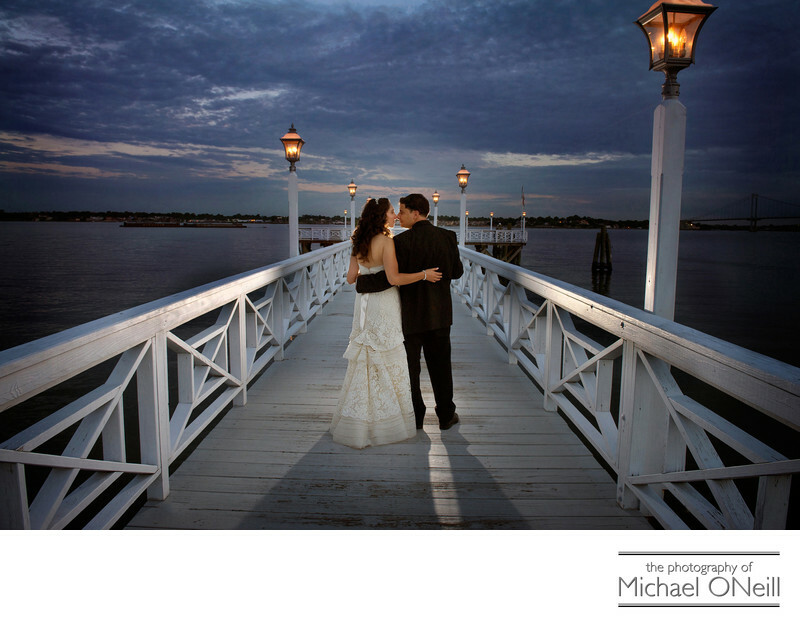 Yet another great wedding picture from Marina del Rey in The Bronx, NYC. I guess you’re starting to get the idea that I work here a lot and that I love creating great wedding photography here. It is tough to take a bad picture here what with the exquisite lobby, elegant ballrooms and the stunning waterfront views of the Throgs Neck Bridge, The Whitestone Bridge and the New York City skyline in the distance. This image was created at the wedding of the first of two sisters that got married less than a year apart. The two reception venues were totally different but the bride’s family really started to feel like close friends or family after awhile. Both of these wonderful brides have pictures from their weddings featured here on my web site. One of the greatest thing about this occupation of mine is the friendships you forge with your clients. I have photographed family portraits and my clients have returned to me as wedding couples. After the wedding I have taken newborn pictures as they start families of their own. I have even shot the Bar Mitzvah and Bas Mitzvah of the children of a couple who’s wedding I photographed some 20 years ago. I have yet to shoot my first second-generation wedding but I’m sure it is just a matter of time. Personal recommendations are the greatest form of flattery and nearly 90% of the weddings I photograph these days are for the families or friends of couples I have worked with in the past. If you are planning a wedding at Marina del Rey, or any other Greater New York or Long Island location; or anywhere in the world for that matter...give me a call. I’d love to sit down and discuss your plans for your special day and take that first step to being long time friends with you, your friends and your families.